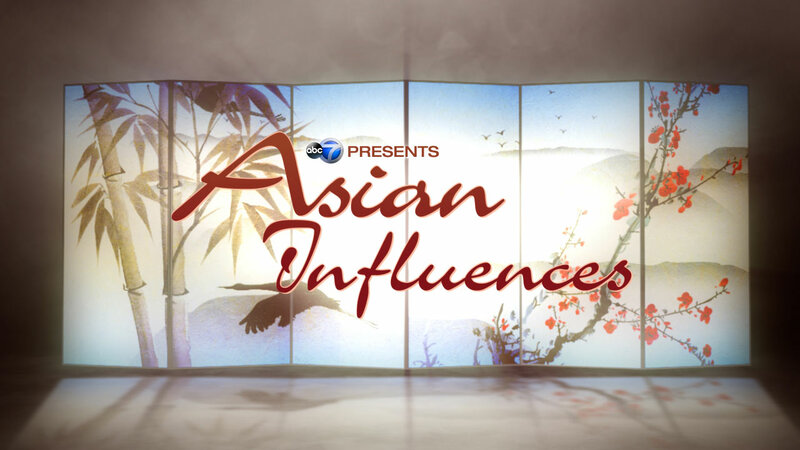 CHICAGO (WLS) -- In celebration of Asian Pacific American Heritage Month, ABC 7 Chicago presents ASIAN INFLUENCES, an Emmy Award-winning program that shines the spotlight on Chicago's Pan-Asian American community. Hosted by ABC 7 anchor Judy Hsu, with contributions by anchor Ravi Baichwal, reporter Eric Horng, and reporter Cate Cauguiran, the latest ASIAN INFLUENCES airs Saturday, May 19, 2018 at 6:00 p.m. An encore presentation of ASIAN INFLUENCES will air Saturday, May 26, 2018 at 4:30 p.m.
Meet a Vietnamese chef whose modern 'take' on the traditional flavors of his homeland earned his restaurant a James Beard 'nod'... and see how a successful Chicago actress and producer is helping to 'lift up' other Asian Americans in the theater world. Also, we introduce an innovative singer/songwriter here in Chicago who has created a new musical 'hybrid' by mixing the Bollywood music that's so famous in India...with the rich sounds of Chicago Jazz! For anyone who aspires to launch a business, find out about a unique 'incubator' helping hundreds of people do just that. See how a local surgeon's groundbreaking research is providing real relief for patients and meet an impassioned woman on a mission to save young victims of human trafficking, right here in our backyard. In celebration of Asian Pacific American Heritage Month, ABC 7 Chicago presents ASIAN INFLUENCES.Some of the footage featured in this segment was provided by Photographer Ronnie Cabello. We take you to a popular Vietnamese restaurant called HaiSous. It's located in Pilsen and receiving National attention, having been nominated as a semi-finalist for a James Beard Best New Restaurant award. HaiSous is one of only 28 restaurants all over the country to receive that prestigious distinction in 2018. Chef and co-owner, Thai Dang, was born in Vietnam... and brings authentic flavors of his homeland.. to his restaurant. Next door to HaiSous is Café Da, Dang's coffee shop that serves up authentic Vietnamese coffee. Some of the footage featured in this segment was provided by Photographer Ronnie Cabello. From a prime time network TV show.. to the Chicago rock scene.. even theater..Mia Park is making quite a name for herself! And this daughter of Korean immigrants is also just as passionate about lifting other Asian Americans up to find -their- place in theater! Mia plays Nurse Beth Cole on NBC's Chicago Med and she is the co-host of the beloved cable access kids' dance show, Chic-a-go-go. She is also a talented drummer, playing in multiple rock bands over the years. In fact, she used her musical talents to put together a long-running benefit concert series, called Covers for Cover, that helped support homeless women. Mia is curating and producing 'Our Perspective: Asian American Play Readings', a staged play reading series this summer at Goodman Theatre, Steppenwolf Theatre and Victory Gardens Theatre. Another passion of hers is yoga, she trains yoga teachers, teaches restorative yoga classes and helps private clients. In celebration of Asian Pacific American Heritage Month, ABC 7 Chicago presents ASIAN INFLUENCES. Bollywood music may rule the airwaves in her native India... but this innovative Chicago singer-songwriter has created a unique new musical 'hybrid'! Subhi merges her Indian roots with Chicago's rich Jazz culture...for a sound that's truly...all her own. Subhi released her first album...called 'Shaitaan Dill'...last fall and plays events all over Chicago. She will soon embark on a tour to support her debut album. Along the way, she is slated to play at Google Corporate Headquarters in California... even the prestigious Kennedy Center in Washington DC. Dr. Wellington Hsu is a successful Orthopaedic Surgeon at Northwestern Memorial hospital who has revolutionized the process of spinal fusion. By using 3-D robotic technology, Dr. Hsu is able to increase bone regeneration and healing in his patients. A groundbreaking spinal implant that he designed has also helped more than 20,000 patients around the world. You likely think of foreign lands when you hear of human trafficking but in reality, the statistics are startling right here in Chicago. The Cook County Sheriff's department is having success rescuing many of these minors. Now, a local woman has dedicated her life to reclaiming and restoring the lives of these young victims. She does it through her non-profit, Reclaim 13. Also part of that mission of Reclaim 13 is a suburban safe haven... called Cherish House. After a year of construction and renovation, the Heritage Museum of Asian Art is now open again in Chinatown. Jeffrey Moy, a 3rd-generation resident of Chinatown, opened the museum in 2014 but when he saw a chance to move his collection to a space 3 times as large as the former space, he jumped at it. Moy used to run a bookstore in the neighborhood but saw this venture as a way to show second and third-generation Chinese Americans, the stories of their ancestors. The 'new and improved' space serves as the backdrop for this episode of Asian Influences. Jimmy Lee runs Goodcity... a non-profit that provides financing and organizational assistance to would-be entrepreneurs from low-income neighborhoods. Lee was born in Chicago, raised in Chinatown... and has worked for Illinois Governors and in the White House but these days, he gets real satisfaction out of helping people who are looking for a 'new start'. Lee sees a problem... and figures out a solution. Rubye Wilson, Holly Grisham and Cathleen Karp are the producers of ASIAN INFLUENCES.